Our Keyboard Speed Development course will improve typing speed and keep your accuracy up to scratch too – so you’ll be more efficient and productive. Over four stages of the course, we can take you as high as 70 words per minute and that’s a skill which is very much in demand. With us, you can not only learn to type quickly, you’ll get the Pitman Training name on your CV too – which is well worth having. And after completing the course, your workbook will make a handy reference guide. This course is the perfect preparation for further training to enhance your career – such as our Microsoft Office courses or specialist secretarial diplomas, which can seriously enhance your earning potential. With a wide choice of training locations and combined flexible self-paced learning, we offer training that fits around your life. There’s always a course advisor on hand to give you one-on-one support when you need it. Use of audio speed dictation specifically timed to enable pacing against target speeds as you progress. Entry Requirements Although there are no formal pre-requisites required, it would be preferrable if you already had some experience of typing and keyboard awareness. 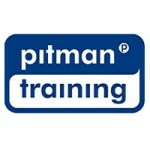 For information about Pitman Training Centre (Dublin), please visit our Training Provider page on Corporatetraining.ie by clicking here.